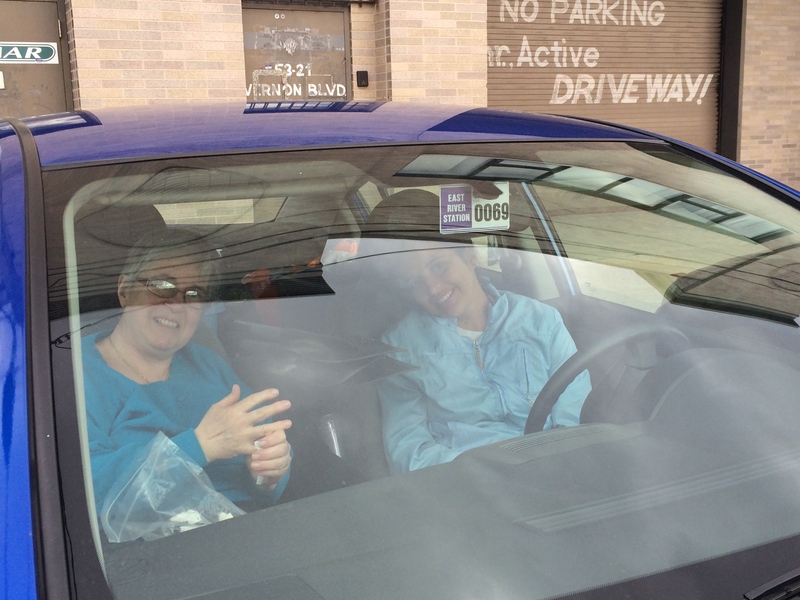 On Sunday April 27, 2014, three of our HarborLAB volunteers- Facilities Manager Patricia Erickson, volunteer Sally Attia, Esq. 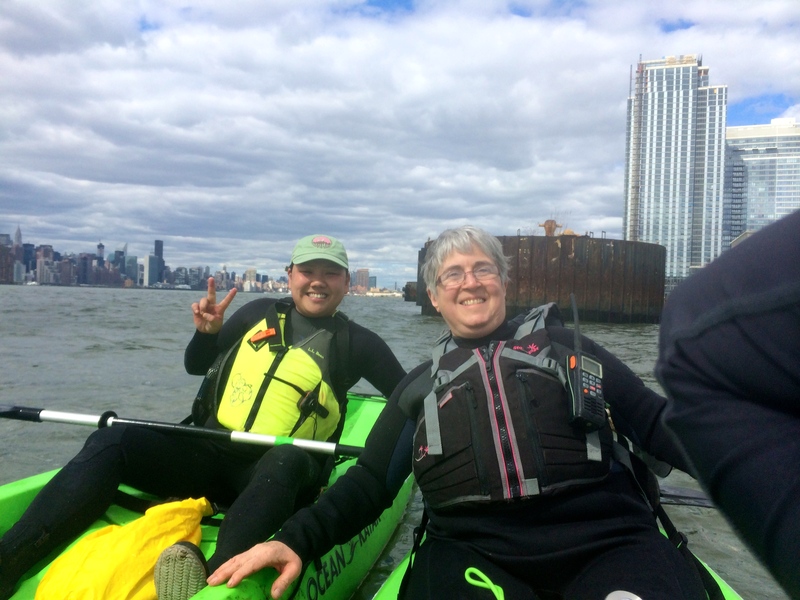 (part of our incorporation team), and yours truly, Operations Manager EJ Lee kicked off the 2014 year with a paddle from our Newtown Creek launch to Williamsburg. The purpose of this paddle was to scout the shoreline for any changes since last year that could affect paddlers. 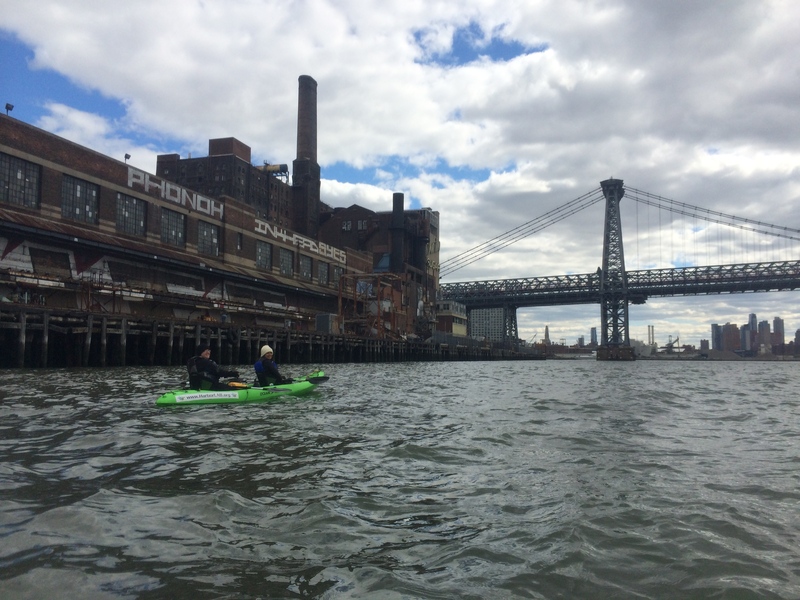 I am happy to report that there was nothing that would disturb paddling on the East River from Long Island City to Williamsburg, Brooklyn. 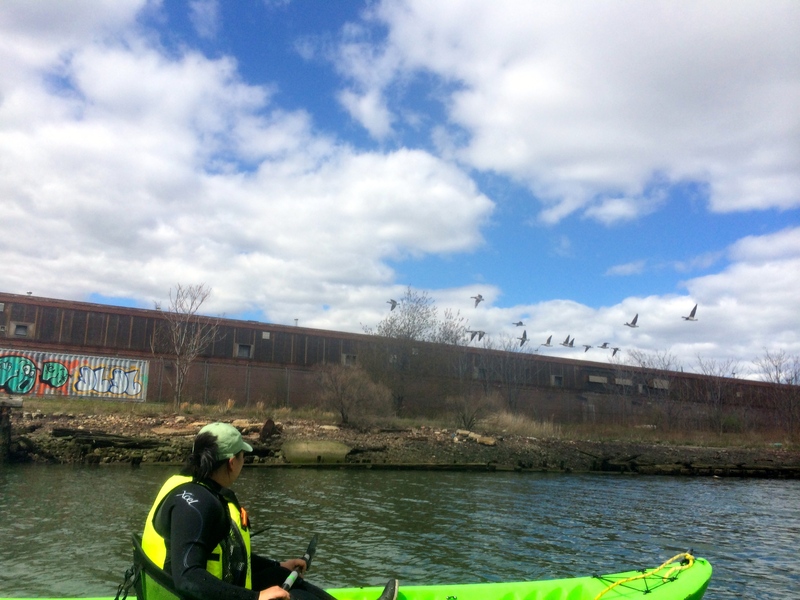 In fact, the cormorants were sunning themselves contentedly, Canada geese were floating along with their goslings, and the bladderwrack were flourishing on the rocks along the banks of the Newtown Creek and Bushwick Inlet. 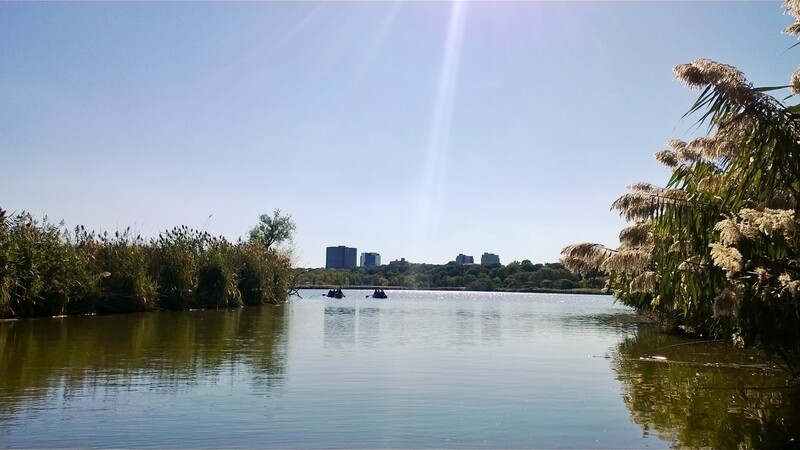 HarborLAB will be offering longer open water paddling to the public in Mid-June, because of safety concerns due to exposure to cold water. 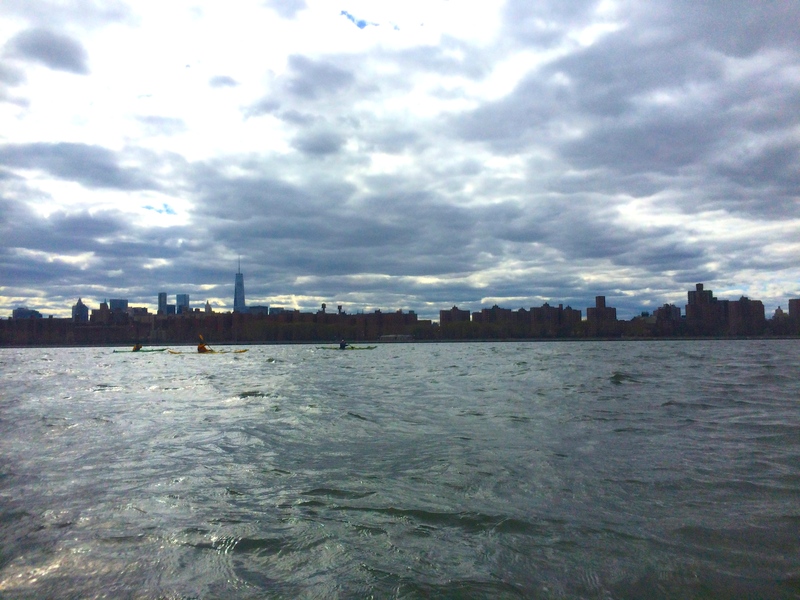 The temperature of the East River on Sunday was 47ºF, and full length wetsuits are absolutely necessary. Although we had favorable currents, there were barges and ferries on the river, and the wind was a-blowing. We learned very well that it was the first paddle of the year; our sore muscles made sure we knew the next day! As always, paddle safe and paddle smart. Join the Cardboard Kayak Race! 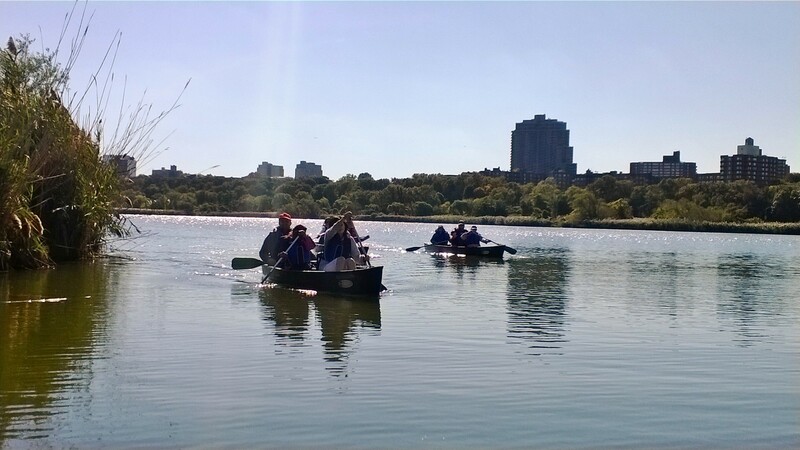 Calling all educators, campers, and community groups to join us and the Metropolitan Waterfront Alliance on July 12 for the 2014 Cardboard Kayak Race! Everyone comes by boat to Governors Island for City of Water Day, but only the most creative and humorous mariners make their own zany boats right at the festival. Let your team of kids be among them! 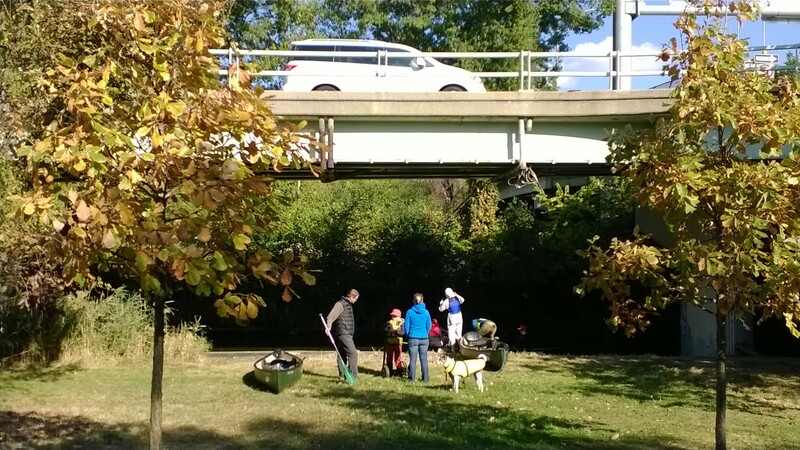 HarborLAB will be providing public paddling programs at City of Water Day and safety support for the cardboard kayak race, as we did last year. We would be happy to help teams of junior high, high school, and college students practice their paddling in the weeks before competing in this unique design-build-paddle event! We and the MWA can also connect you with swim instruction organizations. For information and registration, please click HERE. To partner with HarborLAB, email edu@harborlab.org. 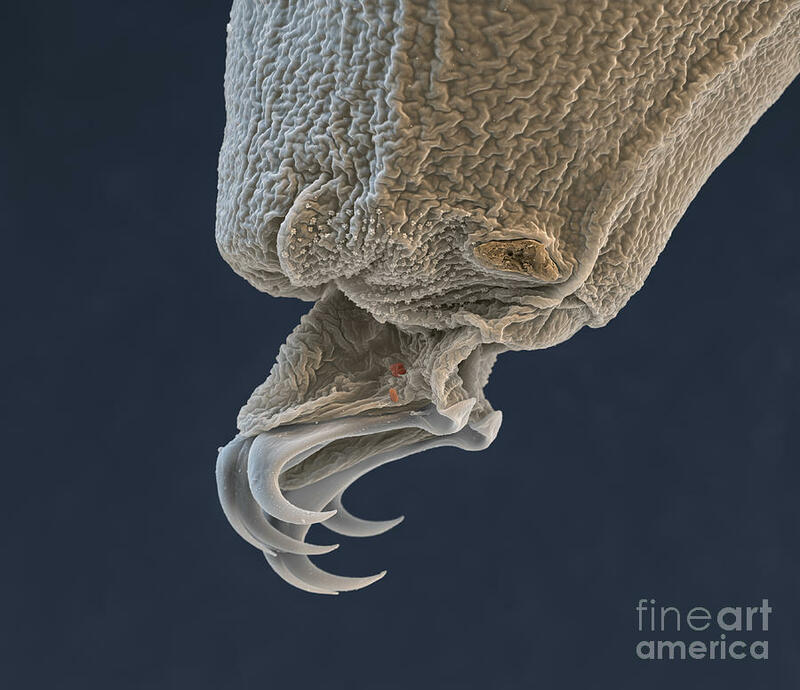 Intrigued by these images? 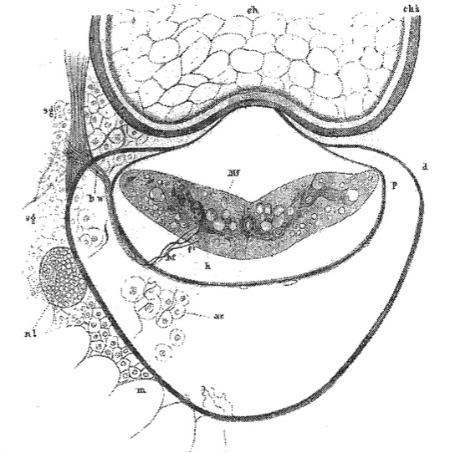 Then head over to our Facebook Fan Page (https://www.facebook.com/HarborLAB) to enjoy the challenge of our Saturday Science Stumper! 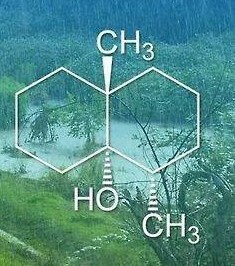 Each week we present an image that relates to our estuary and watershed ecosystems, plus a hint to help you identify it. The following week, we provide the caption. HarborLAB is an environmental service learning organization, not a club, so we’ll shamelessly geek out on the wonders of science around us. Join the fun! 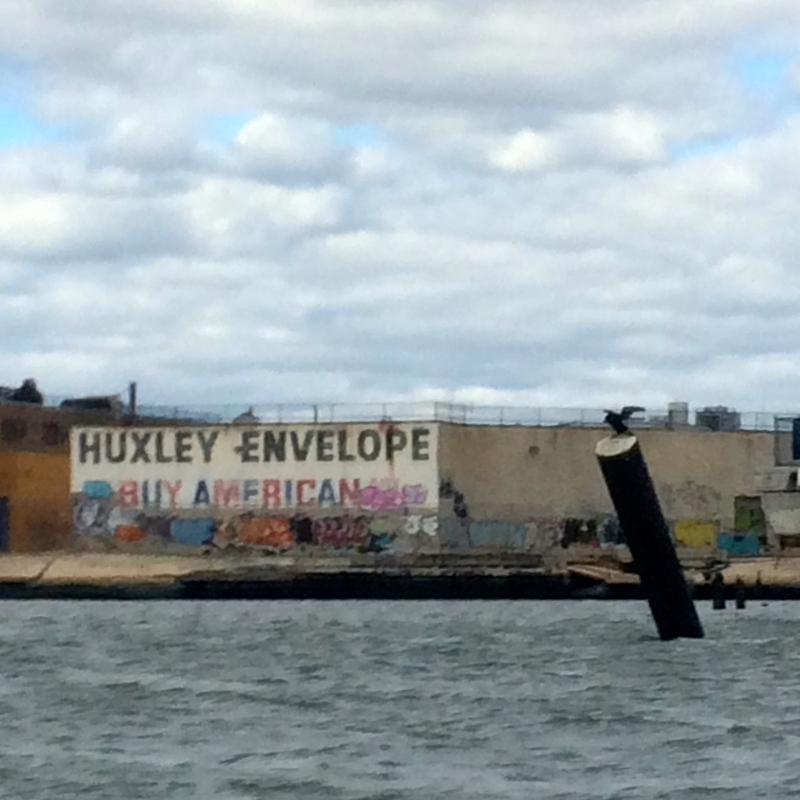 Support MWA’s Waterfront Action Agenda! Metropolitan Waterfront Alliance’s “Waterfront Action Agenda.” HarborLAB enthusiastically supports these integrated goals for a flourishing estuarine archipelago city. The Metropolitan Waterfront Alliance is our region’s most dynamic and effective advocate for reviving the economic and ecological potential of our waterways. 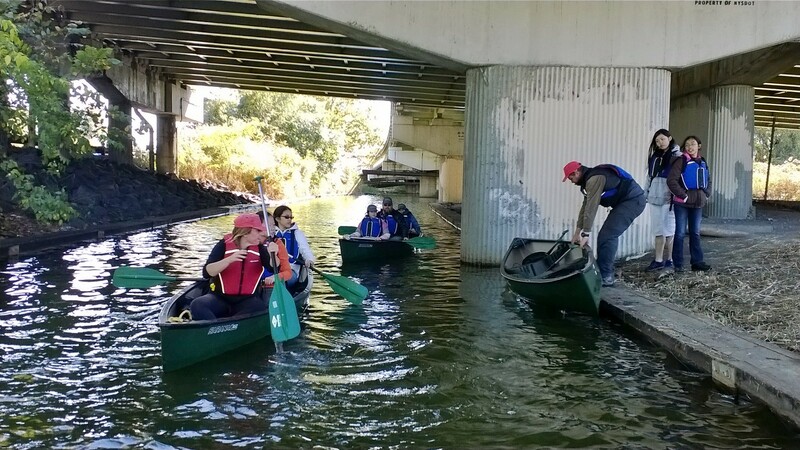 This inclusive network promotes waterborne transportation for commuters and cargo, while also supporting habitat restoration and sustainable recreation, like paddling. The MWA’s Waterfront Action Agenda synthesizes this comprehensive vision and outlines achievable goals. 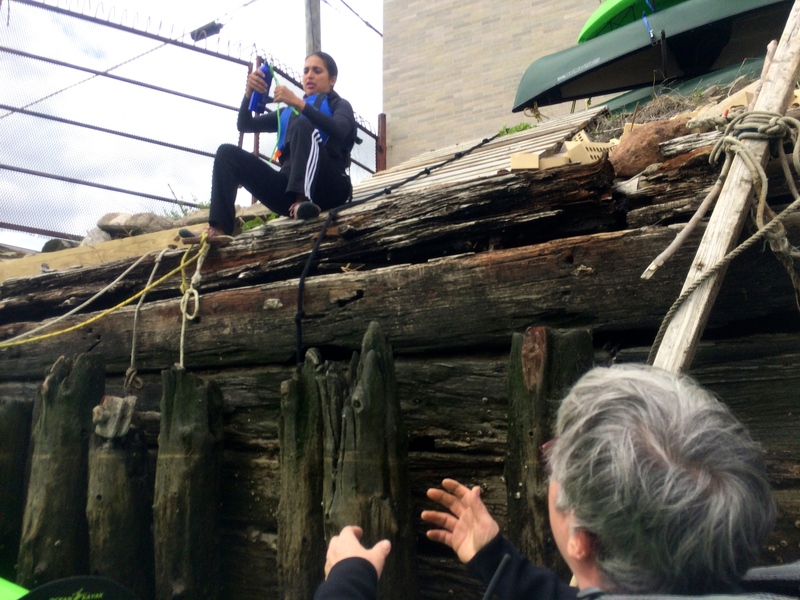 This five-point program grew out of work by the MWA’s urban planning staff and from ideas that bubbled up from the hundreds of harbor stakeholders that the MWA brings together. If you want your organization to be part of this community, sign up here to join the MWA and benefit from conferences, events, seminars, community meetings, workshops, calls to action, and Waterwire newsletter. 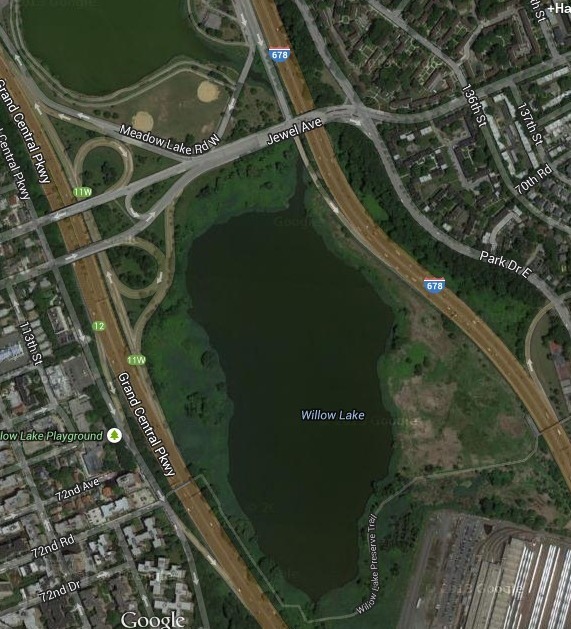 Please let your elected officials know you support the Waterfront Action Agenda. Not sure who represents you? The League of Women Voters’ online district locator will guide you. No need to know your nearest buoy, just punch in your zip code! In Southeast Asia many bombs and bomber fuel tanks from the war decades ago have been converted into other uses, including boats. Photo by Carter Emmart. Carter Emmart leads Grand Tours of the Universe as Director of Astrovisualizarion at the American Museum of Natural History, but spends much of his private time in one of his favorite places on Earth, Southeast Asia. 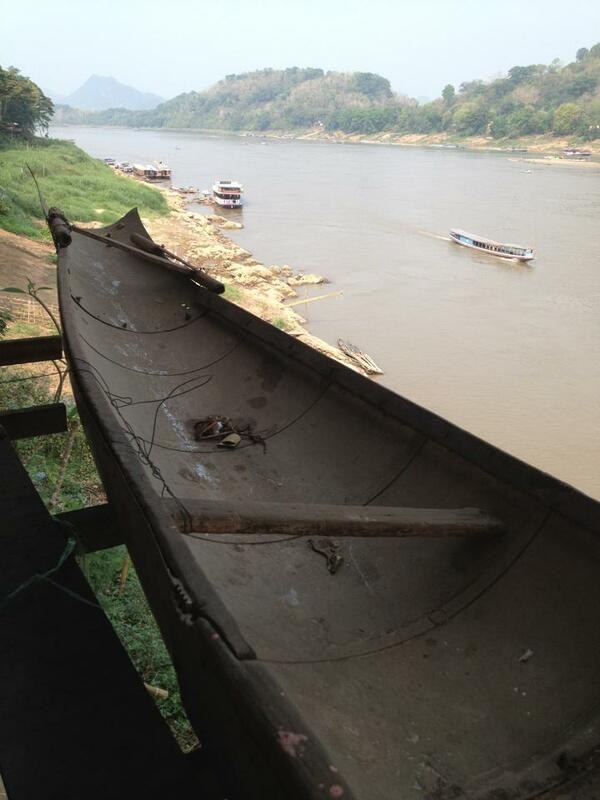 It’s in Laos that he recently photographed an example of one of the most remarkable boat types in the world. At first glance it looks like yet another dugout canoe, a tree felled to ferry fruits to market or delicately balanced bicyclists across slow and silty rivers. But no, this is a cluster bomb case or jettisoned bomber fuel tank rebirthed in peace. How many bombshells and bomber fuel tanks litter this small nation? This understated video posted by Mother Jones magazine, inspired by a heartbreaking new book called “Eternal Harvest,” helps answer that question. Other travelers to Laos have reported seeing bomb casings and other war hardware repurposed with minimal modification as hut stilts, planters, grain cannisters, small cisterns, mugs, buckets, and other peaceful implements. Carter saw a bomb tail used as a potted plant holder in a Buddhist cave shrine at Mount Phousi, Luang Prabang, Laos. One must admire the resilience and innovativeness of a people who can co-exist with, and even utilize, these mementos of trauma. “Swords into ploughshares” or “bombs into boats,” it’s all the same. War is hell, peace is beauty. And peace is productive. Pete Seeger might have loved seeing one of these canoes, which symbolically captures so much of his teaching, at the Clearwater Festival. 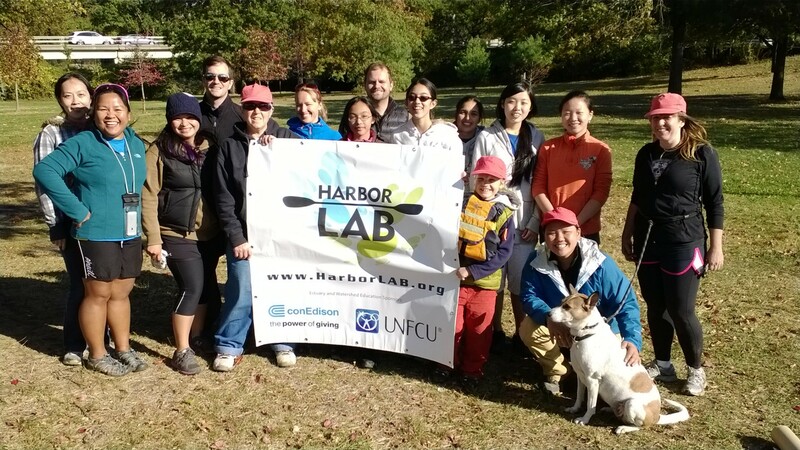 HarborLAB provides the canoe and kayak program to the festival. Perhaps in a future year, HarborLAB will have the means to bring a “bomb boat” over? Or imagine a boat like this plying our nation’s waterways, paddled by people representing different local peace groups? Canoe made from a long range fighter bomber fuel cannister. Click the photo for Mark Watson’s full Highlux Photo Blog. Boats from bombs, Click the photo for the Away Go We blog.